1. What Do You Need to Know About the Hardware? 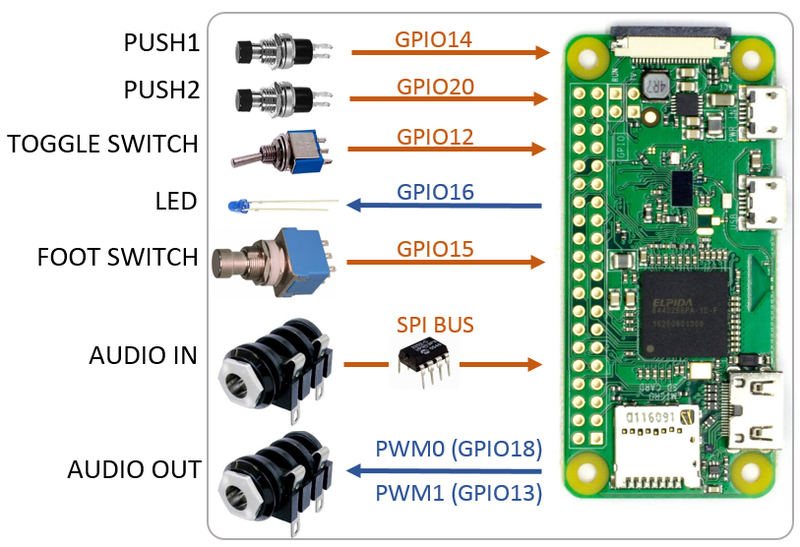 You need to know how where the hardware resources (push-buttons, toggle-switch, led, foot-switch, analog guitar input and audio signal output) are connected. You would need to install the Operating System (Raspbian) and the Libraries (BCM2835) before you can start coding. Classic: By connecting an HDMI screen and a keyboard, like any other computer. Easy and fast. tutorials online for Linux and windows (link2). Once the OS is installed and you can access it, it is time to install the BCM2835 libraries. 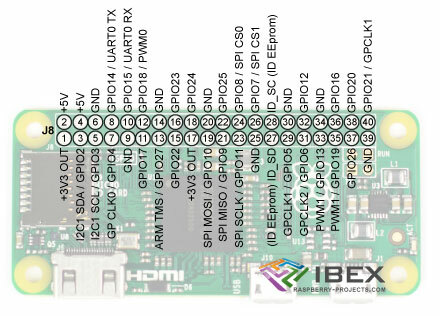 This libraries will help us to access the GPIOs pins, SPI and PWM with simple C commands, making the coding easy and intuitive. wget http://www.airspayce.com/mikem/bcm2835/bcm2835-1.50.tar.gz;  // If there is a new release, this link should be changed. We have prepared a version of the latest Raspbian Jessie Lite with the BCM2835 libraries installed and the Pedap-Pi codes compiled that you can download from here https://mega.nz/#!QzIh3Kya (1.5GB) this you would need to use Win32DiskImager or similar to copy this .img file into a new SD card. There are examples of pedals already coded and available in the forum. All this effects have "educational" purposes. The idea is to have them as a base to start improving or coding your own effects. The codes have a balance between performance and complexity for you understand them easily. Last Edit: 1 year 8 months ago by Ray.